NOTE1 Since these handbags are made of PU leather, the existing of smell should be allowed. NOTE2 Due to different producing batches, there may be deviation of 0.04--0.12 inches for items. NOTE3 Colors on your computer monitor may differ slightly from actual product colors depending on your monitor settings. NOTE4 If you have any questions, please feel free to contact us, it will be our great honor to hear from you. 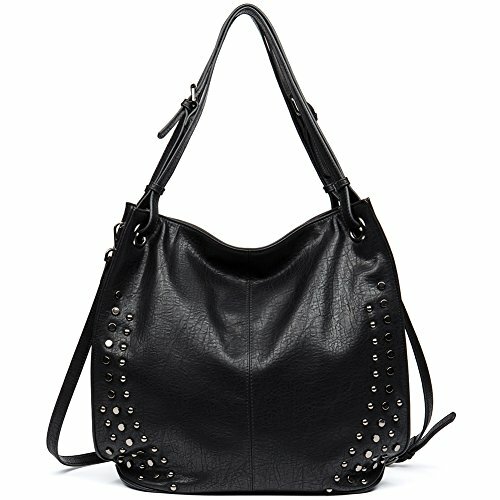 [Material]-High Quality PU Leather Hobo Tote Womens Purse Handbag. [Practical Strap]-Adjustable and Removable Shoulder Strap. [Dimension]-(L) 13.39 X (W) 7.09 X (H) 14.37 Inches, Maxmium Strap Length:56.69 Inches. [Structure]-1 Main Zipper Pocket + 2 Interior Slot Pockets + 1 Back Zipper Pocket. If you have any questions about this product by CALLAGHAN, contact us by completing and submitting the form below. If you are looking for a specif part number, please include it with your message.